Mendelson's Memos: Sadly appropriate. Why The Artist 'deserves' to win at this year's Oscars. Sadly appropriate. Why The Artist 'deserves' to win at this year's Oscars. Barring a box office blow-out by War Horse or The Girl With the Dragon Tattoo, and/or stunningly good reviews for the still-hidden Extremely Loud and Incredibly Close, it does look like this year's Oscar race is all-but finished, with the presumptive winner being The Artist. And I can think of no more fitting choice. No, I don't think it's the best film of the year. I don't even think it's very good (review). The reasons I don't like it are ironically why it makes tragic sense to anoint it as the 'film of the year' in 2011. It is, I'll presume accidentally, indicative of much of what ails the entertainment industry at this very moment. It celebrates what is hurting the industry, so it makes sense that the industry would celebrate it in turn. In a culture ever-more gripped by the need to replicate art of the past, ever consumed by nostalgia for the entertainment they used to consume in their youth, The Artist is the perfect choice. In an entertainment industry gripped by a sense of entitlement, fully believing in the idea that once you're famous or successful that you've earned the right to always be famous and that renewed glory is just a mandated comeback away, The Artist is the perfect choice. In a studio system so afraid of originality at the top levels that they relentlessly remake, reboot, and rehash films and properties for no other reason than that the token recognition factor gives them a marketing edge, The Artist is the perfect choice. In a Hollywood where pundits and bloggers endlessly wonder why the stars of yesterday aren't somehow magically every bit as famous and successful as they were in their peak years, The Artist is the perfect choice. In a time when whole films are constructed for no other purpose than to emulate a genre or a sub-genre of a bygone era with no insight or artistry of their own, The Artist is the perfect choice. In a time when everything is treated like a horse race, where The Artist became the presumptive front-runner purely by virtue of winning the first major critic's group award, The Artist is the perfect choice. 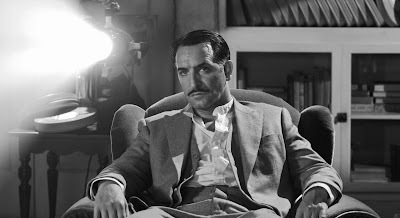 The Artist is not a terrible film, nor is it an evil film. But it is a mediocre film with token entertainment value, but whose widespread acclaim is at least partially rooted in the very things that most seriously threaten the industry that rejoices for it. And I would argue that perhaps some of the adulation is because it celebrates this way of thinking. It celebrates the theoretical bygone era for no other reason than said era is indeed bygone, it celebrates the idea that once you're famous you should always be famous, it celebrates the notion that no concept can or should go out of fashion when a comeback/reboot can bring it back to the forefront, and it celebrates the mere act of mimicry as something worthy of praise. In an insane time, The Artist is an appropriately insane choice. I agree with you, and think that it will win just because of the concept of "old-school-artsy" attached to it more than its merits as a film itself. Specially in the entertainment industry, people can be very hypocritically snob about what they really like, it would look "bad" on you not to support this film if you are a real "film buff ". At the same time I do appreciate the freshness behind this concept. This year has given us films like this, Drive, or even The Muppets, which are very unique on their own way and are examples of what can be achieved with only traditional film making techniques in this CGI numbed era. I haven't seen The Artist yet but the backlash against it makes me feel like I shouldn't like the film, which is sad. What makes me most sad about the backlash is I don't think the director made the film to win awards or felt he was making any grand statement about life. I think he was just interested in making a silent movie in 2011, while at the same time giving it a meta quality by making the lead character a silent film star. The film should be judged on how well it does what it sets out to do. I think there is a certain artistry in being able to capture a particular kind of genre or filmmaking. I also think there's artistry in being able to entertain people, to provide enjoyment. If "The Artist" does these things then I'll be satisfied. It's a tough line to walk, but I didn't hate The Artist, and the thoughts above were more about why it's being overpraised and held up as something more than it is. I did do a full review of the film late last night, which details what did and didn't work about it. As I stated above, I don't believe the director attempted to cash in on the 'vibe' and I do believe he just wanted to make a fun silent picture. But I do believe that the reception is more about what the film represents rather than the quality of the picture itself, which is merely so-so. There are films which I believe are objectively bad, but this isn't one of them. I just think it's being wildly overpraised, and I was tossing out my reasons why. I don't even know how to process this. I agree that The Artist isn't a great film (I like it a tad more than you), however your piece and your comments below cynically assumes why people are liking this and forgoes the notion that perhaps all of the critics have bestowed it stellar reviews and the awards groups that are selecting it as best of the year perhaps just actually think it is that good and deserving of the title? I'm sick and tired of being presuming to be all knowing when it comes to why people like things. Your piece comes off as misinformed, utterly presumptuous, and, ironically, entitled. "I didn't like this film so here are the real reasons why people are responding well to it." Give me a break. Your piece utterly derides the notion of legitimate varying opinions! I also strongly disagree that nostalgia for what worked in the past is what "most seriously threaten the industry." How about rushed and poorly written scripts, actors who cannot act, an over-reliance on special effects in filmmaking, shaky camera and fast cutting - ie: many "modern" filmmaking techniques. Those are the things that most seriously threaten the film industry. Not the fact that sometimes people think it is nice to enjoy things from the past. "I just think it's being wildly overpraised, and I was tossing out my reasons why." 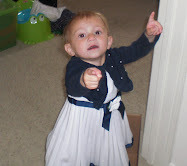 Your reasons why don't seem to be backed up by any real logic or evidence. It seems more like you're just mad something you don't like is being loved by others, and rather than try to analyze the film itself and refute those who love it, you're simply chalking it up to some random assumption based solely on your own opinion. I wish you'd give at least some EVIDENCE to back up your claim. Or at least engage the movie itself and explain why you think other people are wrong. I haven't seen 'The Artist,' so I'm not coming at this from any biased opinion for the film. I just think you're being lazy as hell here.